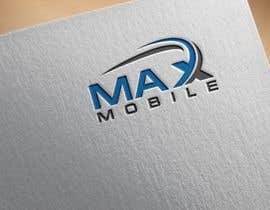 Design a logo for the MAX MOBILE brand. 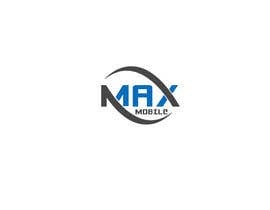 Our company is a wireless (cellular) provider for Smartphones. I would like the logo to be very unique like the Monster Energy logo (see attachment). I'm not saying copy this logo, I'm saying I want something real unique like this. Also you can use a standard font as a baseline but the logo should go way beyond a standard font look. It should be edgy. I am open to any color scheme for the logo design. IMPORTANT: this should be designed in Adobe Illustrator that is compatible with version CS6. The final format you submit must be AI. Do you have a lot of logos he rejected too? please check #34, #35, #36. I would like to see more creative designs. Most entries are just standard fonts that is why I rejected so many. Three days left to get some good designs. I don't think anyone read the Contest Description. I said DO NOT USE A STANDARD FONT. You can start with at standard font as a baseline but the final logo shouldn't look like you grabbed the latest released font and used it for your logo. ALSO, do not copy the Monster Energy logo, I attached that logo as guidance on a very unique logo design. We want our own look. 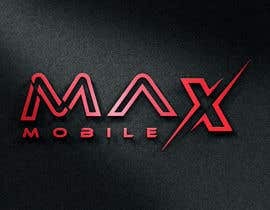 AND FINALLY, "Brand" should not be used in the logo name, the logo is MAX MOBILE.